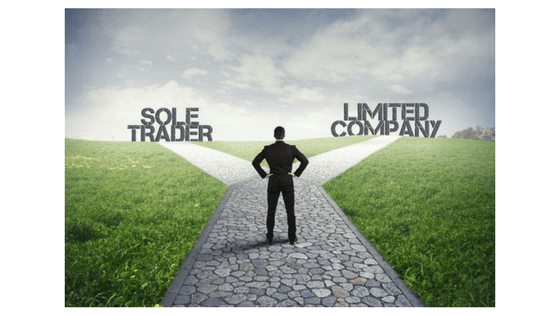 You are here: Home / Blog / Self employment vs Limited company – which to choose? Self employment vs Limited company – which to choose? Understanding the positives and negatives of each option will help you to decide what might work best for you. But it is reassuring to know that there is no wrong answer here. 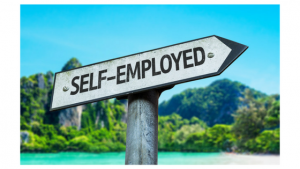 It is perfectly legal and acceptable to choose either self employment or a limited company (if you are working for yourself) from a taxation and business set-up point of view. Becoming self employed is as easy as deciding you would like to be. You do need to inform HMRC within 3 months of starting to earn money, but there are no restrictions on making that choice to start or what you decide to do. The accounting processes are very simple and can involve nothing more than keeping track of money coming into and out of the business, keeping copies of invoices and bills and keeping track of your income and expenses. At the end of the financial year you will be required to fill in a Self Assessment, but it is straightforward if your accounting is kept up to date. You can run your self employed business from your everyday bank account that you already have or you can choose to set up a business account and pay yourself from the business at a rate you choose. Your bank account doesn’t need to be fancy and can be set up easily. In most cases this is going to remain a small scale business as once you reach a turnover of more than a certain amount, you are required to become VAT registered and you may decide to be a Limited Company. While your tax affairs are simple, they are also more costly. You are paying personal tax at a rate the same as if you were employed. So you are subject to the same increases in rates as your income increases. Your income is likely to be up and down, with no clear pay day. Your money is paid into your bank account and you pay yourself as required – there is no set salary as such. 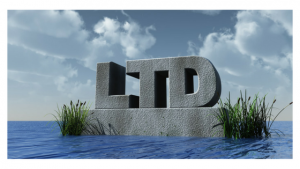 Defining yourself as a limited company automatically makes your business seem more credible and long lasting. It hints at the expectation that you will soon be earning above the VAT threshold (if you are not already) and you can be traced by the Companies House registry, giving your clients extra peace of mind. Your overall tax bill is likely to be lower as it is possible to pay yourself both as an employees and as a shareholder. These are taxed differently and may even be subject to some exemptions. You will be able to pay yourself a regular set salary with a set amount of tax and NICs to pay. This allows you to leave money in the business for investment and to plan ahead. This also looks better for mortgage or loan applications. You can top this up with regular dividend payments that are due to you as a shareholder. 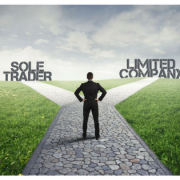 If you choose to, you can even sell shares in your company to raise finance – although you should note that this means you are selling some of the ownership of your company. As a limited company you are not liable for any losses arising from the business – so you won’t lose your home or personal assets. You will be expected to pay corporation tax on your profits which is set at around 19% currently. However this is still likely to be less than your taxation burden as a sole trader. There are a number of compliance issues that you will need to take into considerations such as filing returns, being correctly registered, deciding on a company secretary and directors and your registered address. In order to be compliant with tax rules you will need to submit VAT returns, regular accounts and an annual return. You may want to employ an accountant to complete these for you. This is more complicated than a self assessment. While these few differences may have pushed you towards one or the other – it is always worth talking this decision over with your accountant as they will understand your current and future business expectations and will help you decide which is the right choice for you. http://www.mcbusinessaccounts.co.uk/wp-content/uploads/2017/10/Sole-Trader-V-Limited-Company.png 315 560 melanie http://www.mcbusinessaccounts.co.uk/wp-content/uploads/2016/08/MC-Business-logo-consult-w1-300x300.png melanie2017-10-16 13:02:532017-11-20 10:02:42Self employment vs Limited company - which to choose?